The Jerusalem municipality says that city officials have approved construction of 176 new homes in a Jewish area of east Jerusalem. The decision is likely to trigger an angry response from the Palestinians, who claim east Jerusalem as their capital. Mayor Nir Barkat’s office said the Jerusalem planning committee on Wednesday approved the new homes in Nof Zion. The development abuts the Arab neighborhood of Jabel Mukaber. 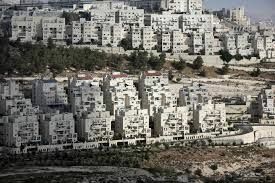 The city says the new homes will more than double the size of the current settlement, making it the largest Jewish settlement in the heart of an Arab area of east Jerusalem. Israel captured east Jerusalem in the 1967 Mideast war and annexed the area in a step that is not internationally recognized.